An RFL nurse has received national recognition for her “zero-tolerance” work that helps protect patients against serious infections. 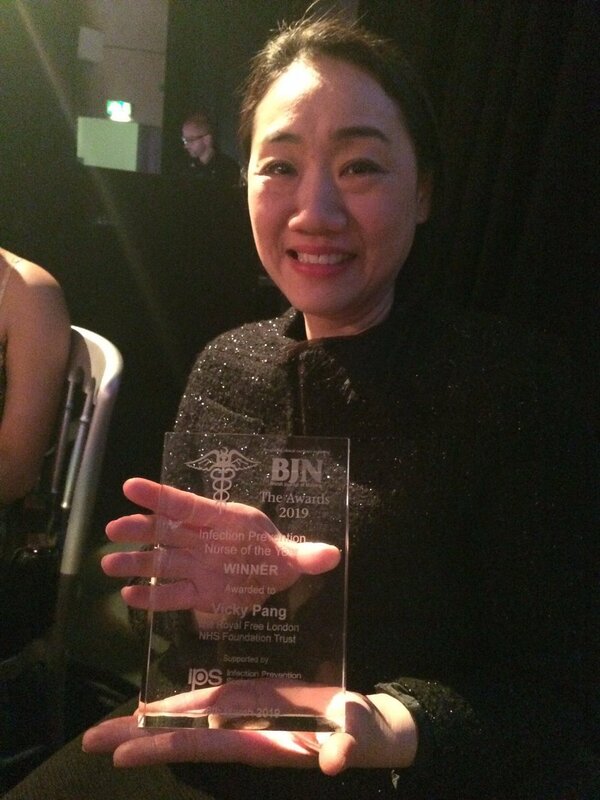 Vicky Pang, clinical lead nurse for infection prevention and control (IPC), was awarded infection prevention nurse of the year at the British Journal of Nursing 2019 annual awards. Work led by Vicky resulted in the number of cases of E coli that occurred in the Royal Free Hospital (RFH) reducing by 32% from 2016 to 2018. Hospitals in England are expected to achieve a reduction of 10% each year, so the RFH has exceeded this target, providing more patients with safe care during their hospital stay.